Check: Leaked Photo Reveals Unreleased Facebook Messenger App for Mac? 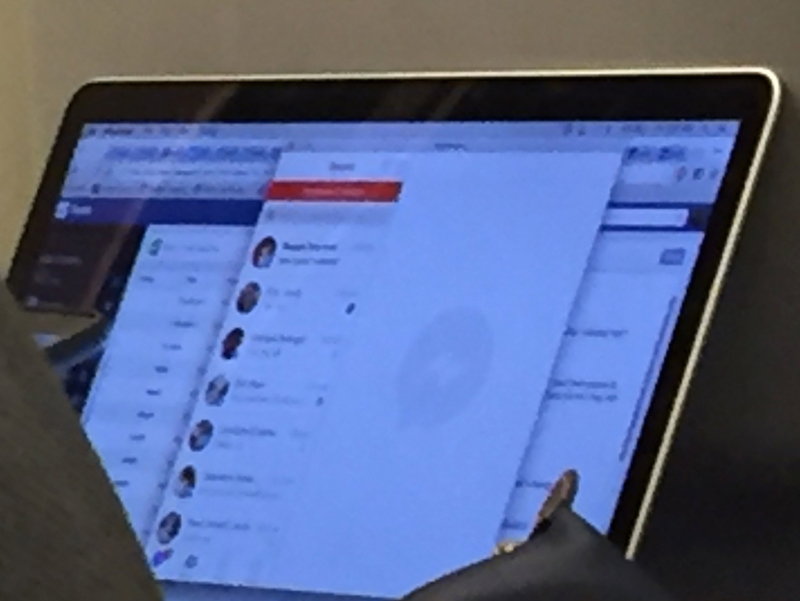 A leaked photo reveals that Facebook may be working on a native Messenger app for Mac. The photo, shared by TechCrunch, allegedly shows the Mac app being used by a Facebook employee. The app is believed to be an official client rather than an unofficial product. It uses the Messenger logo as the icon in the Dock and is named Messenger in the menu bar. While it’s tough to see in this grainy close up, the official client the Facebook employee was working on includes a navigation tab bar in the bottom left. It matches the tab bar options in official Messenger for iOS mobile app, including Recent, Groups, People, and Settings. Unofficial versions lack this tab bar. The site's source also said the employee was logged into Facebook's internal portals and VPN, adding weight to the legitimacy of the Messenger app.